We met the producers from TRAVELER’S notebook while having trouble finding the best notebook for writing down ideas. The producers visited our studio, and we were able to get along after consuming an excessive amount of beer and wine from noon. Also, we discussed various things during the feast. What did we make for the TRAVELER’S team? We believe it was terrine and figs, lotus root steaks, and some dumplings. Basically the food that goes well with alcohol. 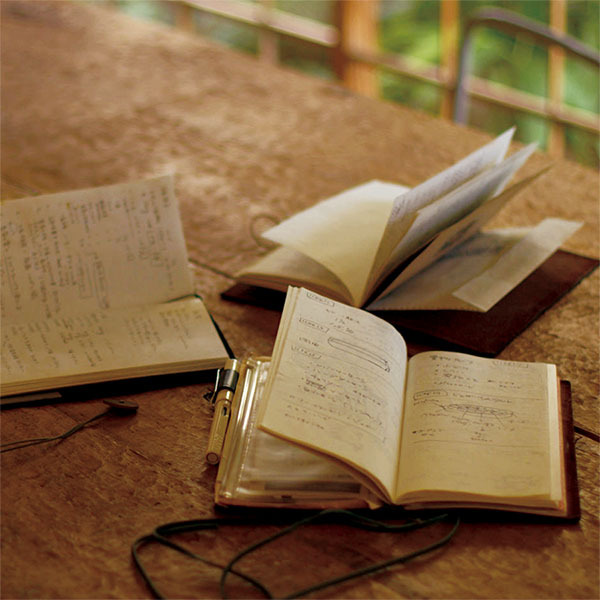 After our exciting conversation, TRAVELER’S team – a team that make notebooks that becomes tasteful over time – and OKAZ DESIGN – a team producing foods and designs where time makes it taste great – both had a feeling where we should make something together. We seemed to have shared a similar value. Few months after the feast, we received an inquiry from the TRAVELER’S team saying that they wanted us to make a food that resembles TRAVELER’S notebook. 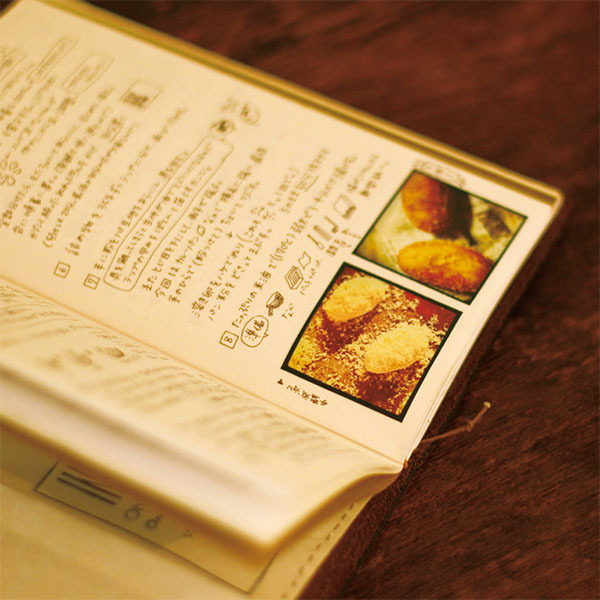 A food that is based on the image of TRAVELER’S notebook. What would that be like? It needs to have a natural feel and at the same time have a form of simplicity for sure. It also needs to make people feel like traveling when eating it. But at the same time, it’s not that gorgeous. And the recipe needs to be simple so that people who don’t usually cook can make it. We spent days thinking about the food until one day we came up with an image of a middle aged man cooking a powerful yet simple bread with his thick arms at a foreign town. That’s when we came up with the “TRAVELER’S Bread,” a flat bread that can be made using a frying pan. We used the TRAVELER’S notebook to record the results of our trials and some other ideas that came up. 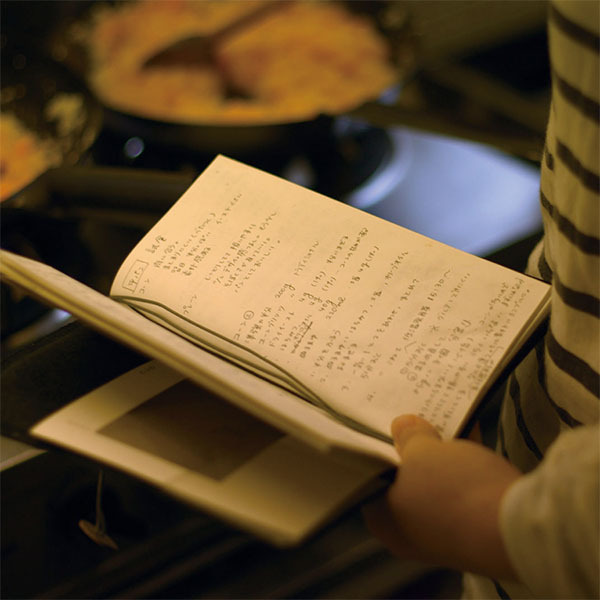 The recipe of TRAVELER’S Bread being recorded on TRAVELER’S notebook. We still remember this weird feeling we had back then (obviously in a good meaning). Cooking and designing is what we do for a living. We cook throughout the day, but in between the spare time we have, we have meetings on web and product design. What we do ranges to various areas, but TRAVELER’S notebook seems to take in our stance towards the things we do in a heartwarming manner. The trial and error that would be erased through a simple saving process is “saved as” on the notebook, and that process becomes a hint for the next food and design we come up with. 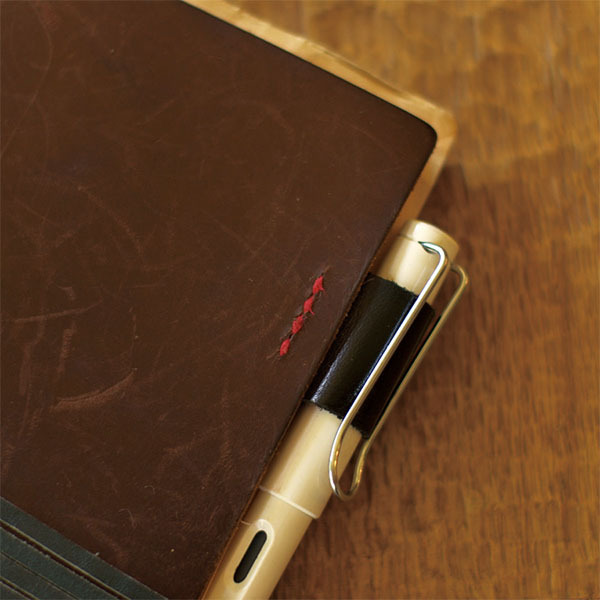 What we like about this notebook is that it is left for us to decide how we use it. 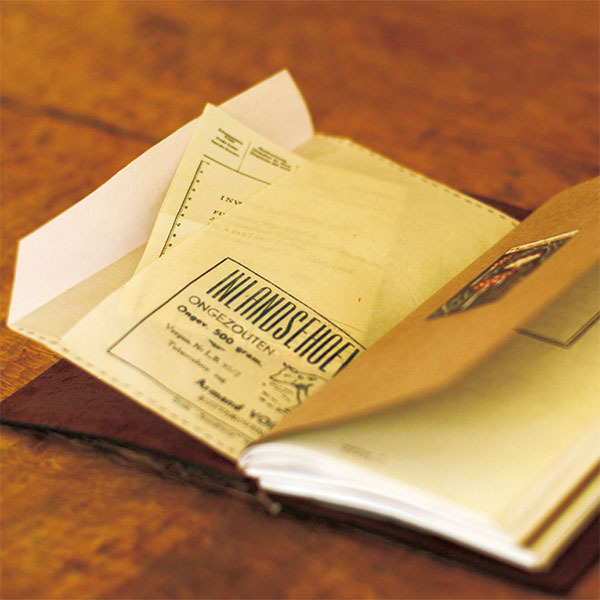 The three of us use it in a different yet free manner, but we all designed and inserted monthly planners and pockets to put receipts so that they fit the TRAVELER’S notebook. 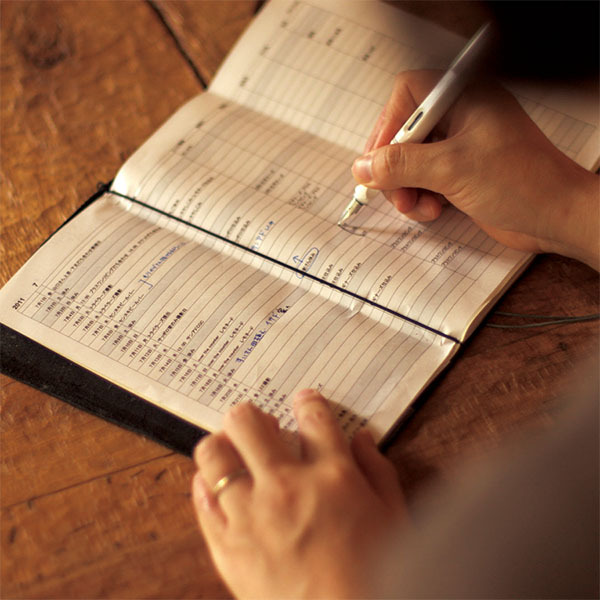 We are excited to see how the TRAVELER’S notebook will change over time, or not change its core values over time. As a friend making things based on universal concepts, and as a single user, we are just excited about the future of TRAVELER’S notebook. Thank you always, and let’s do some great things again. A food and graphic design team formed in 2000 by Hideharu Yoshioka and Tomoko Yoshioka. Later on, Satomi Morikage joined and became a team consisting of three people. They have the concept of “time making things tasteful,” and through that, they engage in simple and universal act of crafting things. 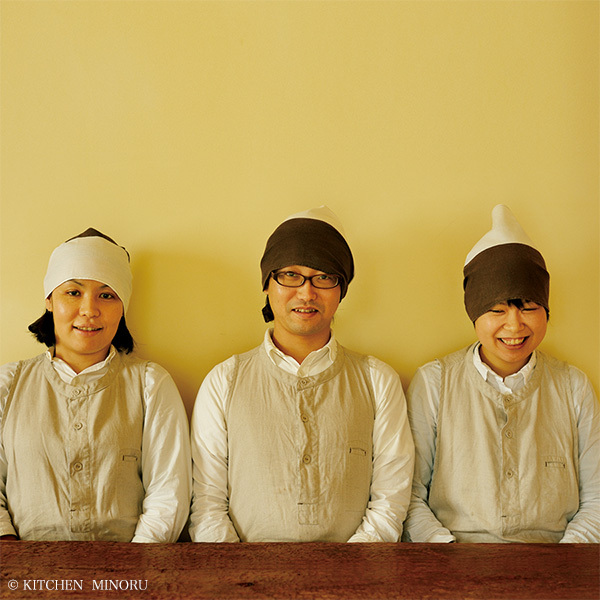 They show the kitchen studio “KAMOSHIKA” once in a while and host events related to food. Also, they create recipes and video clips from the point of food and design. They were in charge of producing the food that appeared in the movie “Shokudo-Katatsumuri” and the drama “Teppan.” They have released books such as “Buta-Gohan” and also served as a co-author for the book “Shokudo-Katatsumuri-no-Ryori” (published from POPLAR PUBLISHING CO., LTD).